Feather Picking is one of the most exciting events at camp! Will I pick white and become part of the Les Pucelles team (maiden warrior) or will I pick blue and be a Jolis Coeurs (happy heart)? These two names are French words that describe Joan of Arc. 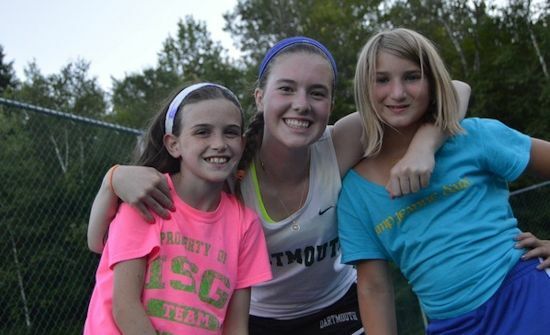 Once on a team, you are part of a life-long family! You will spend the summer competing in fun games and activities to help your team earn points. The much anticipated awards are presented at Banquet to the winning team. Team trophies are presented for achievements and camp spirit. Although we get excited about supporting our camp teams, we “leave it all on the field” and spend most time at camp as one big, happy camp family. Every JDA camper treasures her camp shield. Hand-painted symbols are meticulously added each summer as your camper spends time working at a particular skill or activity. 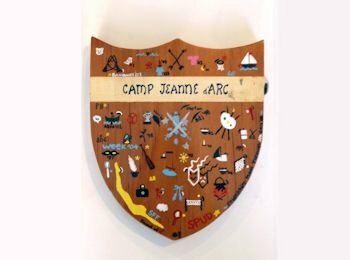 By the end of her time spent at Camp Jeanne d’ Arc, her shield is filled with all of the exciting things she has learned and accomplished through her summers at JDA. 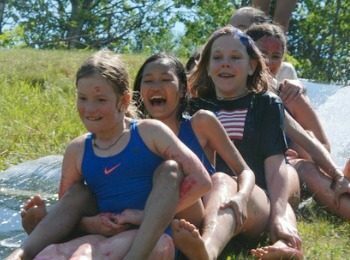 (First 2 Weeks) It has long been a tradition at Camp Jeanne d’ Arc to celebrate the 4th of July the way it was intended to be. We do this with a giant slip-and-slide, decorations, face paint, watermelon, fireworks, games, bonfires and more. The 4th of July is a much anticipated day at Camp JDA! 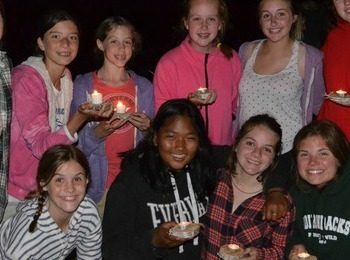 (Second Half) Our Owl cabin (campers ages 14-15) presents a magical evening of candlelight, serenading and wish making. Each camper is presented with a handcrafted boat to wish upon. The magic and wonder of Wishing Night is one that is never to be forgotten. As a child, there is absolutely nothing better than Christmas Morning! It’s even better in the middle of July! 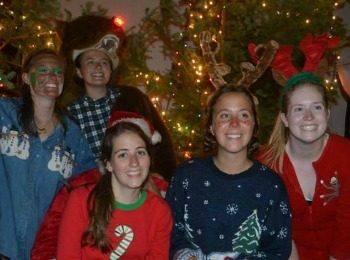 Christmas in July is a long time tradition at Camp Jeanne d’Arc. Campers are awaken by candle light and Christmas carols to join their fellow campers in the Hearth for an all-out Christmas party. Of course it wouldn’t be Christmas without lighted Christmas trees, Santa Claus, presents, music, a crackling fire, cinnamon rolls and hot cocoa. Oh, I can’t forget about the gingerbread house decorating! 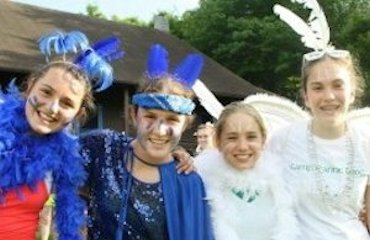 (Second half) As a parting gift to their campers, the counselors and staff at Camp Jeanne d’Arc put on an unforgettable Banquet to celebrate the achievements of their outstanding campers. The final camp theme is revealed as the girls enter the Hearth to see the transformation that has taken place. A lovely dinner and dessert is served only to be topped by the recognition of each and every camper as they receive awards for their achievements. 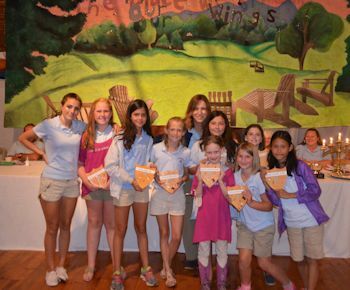 Campers are awarded with activity and camp spirit awards, club memberships, tournament awards, team trophies, and camp’s highest camper honors. Banquet is absolutely the highlight of the summer, not to be missed and certainly never to be forgotten.